Xiao long xia (小龙虾), translated directly to little dragon shrimp or little lobsters, are a popular dish served in restaurants and on the street in Shanghai. While most popular in the summer, you can still find them in early spring cooked and served out of makeshift carts lining the streets. The dish has many fresh ingredients, including it’s main one as the crayfish are cooked live. After cooked and fried in a spicy mixture, you shell the crayfish and get a small bite of meat from it’s tail- no silverware allowed. Crayfish, cooking oil, water, soy sauce, chillies, peppercorn, mala sauce, and ginger. Crayfish are cleaned and rinsed with cold water. Then, the crayfish are boiled for a few minutes until they turn a deep red. After being boiled, they are put into a large, circular, deep fryer which contains a mixture of cooking oil, water, soy sauce, chillies, mala sauce, peppercorn and ginger for a few minutes. After being fried, they are then shelled and enjoyed! In the 1930s, Louisiana red swamp crayfish was brought to Jiangsu province by the Japanese. While first the creatures were seen as exotic, they were not welcomed by the local people as they caused crop damage and brought no direct benefits to people of the community. However, the crayfish adapted to the local environment and populations began to flourish in the coastal environment. Eventually, the crayfish were made and popularized into a dish called xuyi shisanxiang longxia, or “Xuyi Thirteen Fragrance Little Lobster,” that brought major business to cities in the 1990s. The flavor was influenced by neighboring provinces like Anhui and Zhejiang which contributed to the spicy oil mixture the crayfish are cooked in. Now, crayfish are considered a local food as they are farmed in coastal areas. There can be many subtle variations of this dish as the spice mix the crayfish are fried in can be manipulated to fit any spice level from mild to very spicy. Every restaurant or vender uses a subtly different mixture so they’re bound to taste similar, but not the same, at every spot you try out. 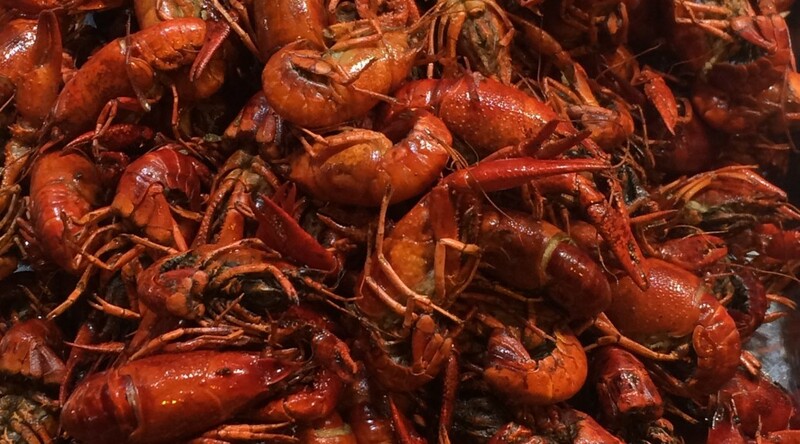 There are also variations were crayfish are flavored with wine or beer to give it a fuller taste.